StableHost stands for keeping your data secure and protected, in this guide, you will find all the information you about how we use and save your personal data. In order for us to be able to provide you with domain services, we need to gather all your personal data for the domain registrations to go through. We always keep our T&C updated, so make sure you check them out whenever you receive information about it. 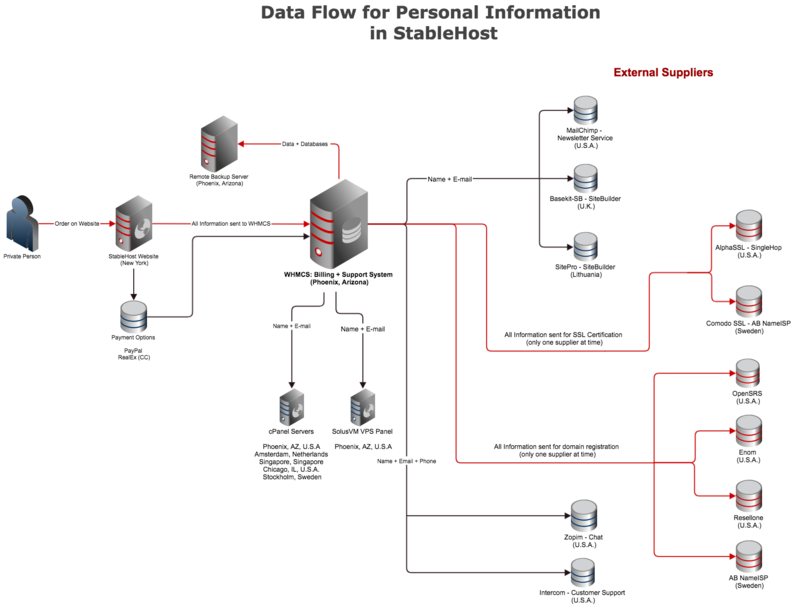 StableHost is Data Controller for all personal data that we collect from you as our customer. However, for the personal data you store on our servers you are personally responsible and StableHost is the Data Processor. You need to ensure that you meet your legal requirements for processing personal data. StableHost is not legally responsible for how you process your data. For everyone who needs to sign a Personal Data Assistance Agreement with StableHost you will need to contact the support in order to get the agreement. Once you have it please fill in all information and sign the Agreement and send it to [email protected] The responsible person will then get back to you with the signed agreement. All customers who gather information about there clients through a Websites must encrypt this information. In order to encrypt your website, you must have an SSL (https://) installed and verified. StableHost offers SSL as a service, make sure that you protect your personal information with an SSL, if you want more information about it, contact us! For you to easier understand how we collect your data, store it and share it we have prepared the following flowchart. In this image below you will see all the steps of your personal information from the moment you buy your Hosting Package and how we then store and share your details with our 3rd party suppliers.